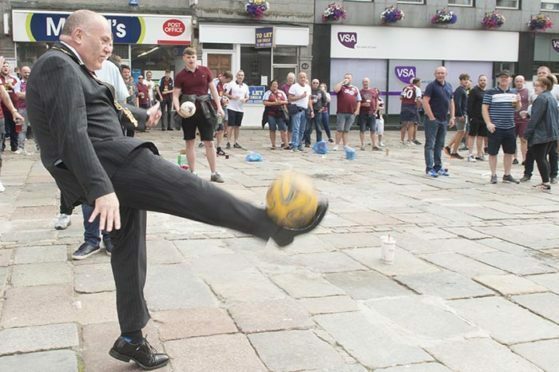 Lord Provost Barney Crockett showed off his keepie-uppie skills to travelling Burnley fans waiting for the Clarets' Europa League clash with Aberdeen. Despite being laden down with his tailored suit and heavy ceremonial chains, Aberdeen’s Lord Provost was still keen for a kickabout in the city’s Castlegate this afternoon. After hearing a commotion from his Town House office window, Barney Crocket decided to join a crowd of Burnley fans who had travelled 340 miles to see their team’s Europa League clash with the Dons at Pittodrie. The swathes of supporters were biding their time in the glorious summer sunshine ahead of the Clarets’ first European tie in more than 50 years. 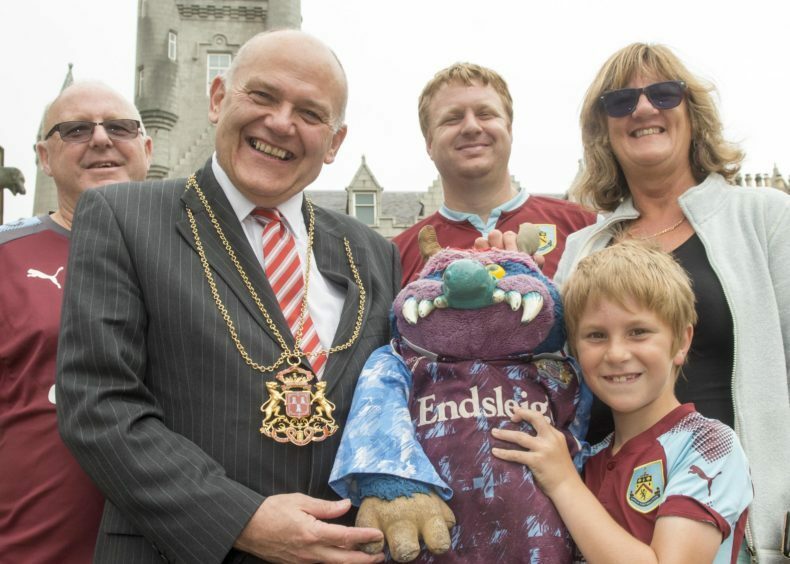 The Lord Provost with travelling Burnley fans Harry Foster, Gareth Foster, Audrey Foster and Ewan Foster. Mr Crockett said: “There was a great atmosphere in the city. “The fans from Burnley were first rate and you really couldn’t ask for better. 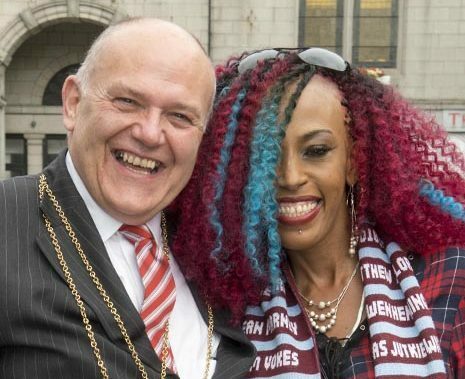 After meeting some of those visiting Aberdeen for the first time, the Lord Provost couldn’t resist showing off some of his silky footwork – to chants of “sign him up” from the crowds swarming around him. Under manager Derek McInnes, the Dons have reached the Europa League qualification stages for the last five consecutive seasons. However their last major victory on the continent came in May 1983 when they saw off Real Madrid 2-1 to lift the European Cup Winner’s Cup. Mr Crockett posed for a photo with Burnley supporter Honey Ayrton. Mr Crockett added: “I’m hoping Aberdeen can do brilliantly with their Europa League campaign this season.